A war extending almost two decades led by US in Afghanistan has implications for the entire region. Pakistan has been a major stakeholder in the war, and now feels it was dragged into it. Undoubtedly, it played the most significant role in in this war, for which it has also paid a price higher than any other nation involved. Roots of the US war on terror originate in Afghanistan following the Russian withdrawal from Afghanistan in late 1980s. Pakistan was then a military ally of US, which forced the former Soviet Union make its soldiers return to their barracks. It is well known how US was responsible for launching the mujahedeen to fight Soviet presence. Osama bin Laden emerged as a prominent figure of the mujahedeen, and became the chief of AI-Qaeda. Tables turned, however, when AI-Qaeda, led by bin Laden, hijacked four passenger aircrafts from four different airfields and crashed them into the World Trade Center in New York on September 11, 2001 resulting in 2,977 casualties. This, no doubt, was a huge security lapse and heated things inside US. It led US to launch operation 'Enduring Freedom' against the accused bin Laden and his group. The then mujahedeen turned into terrorists in US books. US set its foot on Afghan soil again on October 7, 2001 and the war on terror was “realized”. US called the war on terror as the need of the time. It was able to gather international support on this, as terrorism had already become a matter of global concern. US counted on Pakistan support its war in Afghanistan, but the support made it suffer more than any other US ally. Together with US, NATO forces and the Afghan army, Pakistan fought Taliban by providing regional support. This made Taliban to begin targeting Pakistan in attacks on various fronts. These included suicide attacks killing hundreds, instilling fear among the masses. In a report issued by the Pakistan Ministry of Finance, the country suffered a loss of 123.1 billion US dollars from 2001 to 2017 as a result of this war. Further, about 75,000 Pakistani civilians have lost their lives because of Pakistani involvement in the Afghan war. Meanwhile, US continued to aid Pakistan for its cooperation by providing 33.4 billion dollars from 2002 to 2016. The consequences of this involvement of Pakistan have been massive, affecting its stability and security. Pakistan is now facing the aftermath of this war on multiple grounds, and has deteriorated its standing in the international community. According to reports, the Trump administration has been continuing to put pressure on Pakistan, alleging that the latter is harbouring and supporting insurgents in Afghanistan. A similar statement was issued by NATO in 2006, but was reverted, as no “tangible” proof could be found. The government and the army of Pakistan have, of course, denied such accusations time and again. Pakistan has insisted, it wants peace in Afghanistan and seeks political support to end the Afghan war. The US-Pakistan bilateral ties, in fact, started to tumble in 2011 after a surprise raid in Abbottabad killing Osama bin Laden, and touched the lowest in January 2018, when Trump suspended US security assistance to Islamabad on claims that Pakistan is not cooperating with US against militant groups. Reflecting to this claim, Pakistan asserted that peace and stability in Afghanistan is a mutual responsibility and it had done everything in its capacity for the stated cause. Indeed, peace in Afghanistan is directly associated with peace in Pakistan and other countries in the neighourhood. Not without reason, Pakistan wants a peaceful Afghanistan. After Imran Khan became Prime Minister, his narrative on Pakistan on the US-led war became even clearer. He rejected as “unsubstantiated” all rhetoric against Pakistan facilitating terrorism. He stated that Pakistan would not carry the blame of US failures. 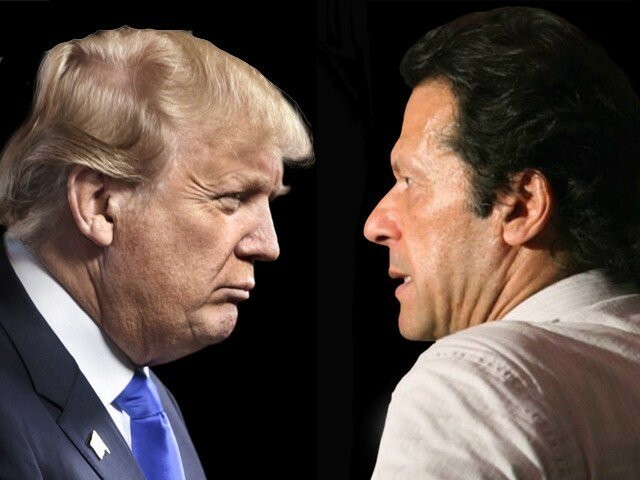 Angered at the tweet of Trump targeting Pakistan for “not doing a damn” and “just getting financial assistance of war from US”, Khan retorted, “Trump needs to be informed about historical facts. Pakistan has suffered enough fighting US's war. Now we will do what we think is best for our people." Soon thereafter, Pakistan foreign office registered a strong protest against the allegation. Imran Khan's stand confirmed that Pakistan, in this region, is too important to ignore.